My first job out of high school was selling cars. At that time, I remember my sales manager telling me and the other salespeople to make our daily follow-up calls. Some salespeople would say they completed their calls, even when they hadn't. It became a constant battle. Apart from not making the calls, these particular salespeople were notorious at finding ways to cut corners and cheat the system. While this may not be the norm, how do we hold our salespeople accountable for their daily, weekly and monthly activities? In today’s dealership, 80% of the leads received come through the phone and/or Internet. That means that 80% of their business is dependent on the salesperson’s ability to schedule appointments that drive people into the showroom. CRM utilization becomes critical when managing these processes. CRM allows salespeople to achieve new levels of production with unsold and repeat customers, thereby increasing their personal incomes. CRM enables salespeople to work more efficiently, be better organized, and better manage time and relationships. Managers now have access to reports that enable them to monitor all activities, and can help coach and motivate each salesperson. Accountability was low at that dealership because the managers were not monitoring the daily actions of the salespeople at the dealership. What they thought was being done in the dealership, often wasn’t. They had no concrete way to show that it was or was not happening. In order to improve accountability, utilize reports to track the number of new opportunities that your salespeople are entering into the CRM. Nothing is worse than seeing someone take multiple customers without entering those customers into the CRM. One common rule from dealers is: “If it isn’t in the CRM, it didn’t happen.” If data is not entered into your CRM, it throws off your marketing and ROI reports. The second key metric is phone calls. It is important that your CRM is integrated with your phone system in order to track outbound phone calls. Having salespeople mark all of their calls completed is one thing, but it's even better to have proof that the call was made, and how long they were on the call. The top salespeople are constantly those who take the time to make the most calls. If your state allows it, record your calls. This is great for managing quality and training. Make sure to monitor inbound calls as well. Most customers are calling multiple companies, and this is often the first contact the customer has with your business. If your salespeople don’t handle inbound and outbound calls correctly, it will ultimately affect your conversion rate. Email and web lead tracking is also important. You need to know how many emails the salespeople are receiving and sending out, as well as how long it is taking them to respond to their web leads. Salespeople love people that come in and buy, but what about those that don’t buy, or those who are hard to get in touch with afterward? Make sure you are looking at reports that reflect this data. Pipeline management is key for success. When salespeople get busy, the first item taken off their plate is prospecting. When salespeople stop prospecting, the pipeline eventually runs dry. Make sure that as part of tracking calls, you know the type of calls the salespeople are making. Ensure there is always a focus on prospecting. Salespeople also have a tendency to move people to “lost”. This is a way to get the CRM follow-up to stop or to hide those customers that didn't work out. Do you have a review process in place for a manager to look at each “lost deal” and try to “save a deal”? Some CRM tools have a daily activity report or check out report that shows everything the salesperson has done for the day (opportunities, appointments, calls, talk time, emails, etc.). When I worked at one dealership, I noticed they had a problem with accountability, so they instituted a new process. Before a salesperson left for the day, they would print out a report and give it to their manager to check out. The report told the manager everything they had done as well as all of the calls they didn’t complete. Quickly, managers were able to see what had been done and what had not been done. Often, the manager would send the salesperson back to make more calls before they left. Salespeople began to feel ashamed when they handed in their sheet that showed low call volume. It motivated them to make more calls. The dealership drastically improved their follow up process and began to see an immediate increase in their sales. Having a plan and setting goals are essential parts of improving accountability. It is crucial for salespeople to establish a set of daily, weekly and monthly benchmarks that help them measure and manage their ultimate goal. If the goal of each salesperson is to sell “X”, don’t focus on the end goal. Monitor the activities that will help them reach that goal. It also helps if the salespeople are included in setting the goals. If you do this, they should have a personal stake in the outcome. Without inclusion, salespeople will figure out the best excuses in the world about why they can’t meet their goals. If you have a salesperson who isn’t taking responsibility, then you may need to mentor them individually. Focus on their behavior and the issues at hand. They need to be held accountable for their actions, which can include low prospecting activity, not meeting sales targets, or low margin sales. As accountability grows, your salespeople will form a good habit of doing the things they must do on a regular basis. With a few changes, you'll help them get on their way to becoming a top producing salesperson. 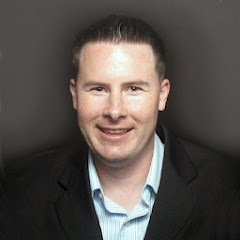 Hunter Swift is the Director of Sales Development at DealerSocket, a CRM company for car dealers. He has been with DealerSocket since 2005. In addition to his current role, he has fulfilled the responsibilities of customer support, consulting, training, and sales. Hunter is recognized as a leader in CRM best practices and specializes in helping businesses improve sales and follow-up processes through the use of CRM technology. He is known for his ability to connect with people and demonstrate his knowledge to help others solve their problems. Hunter honed his selling and CRM skills as a car salesperson prior to joining DealerSocket. He also has earned a Business Degree from Pepperdine University. Hunter can be reached at hunterswift1@gmail.com and on Twitter at @HunterSwift.